After months of hard work, My Pie Gilbert is finally open! 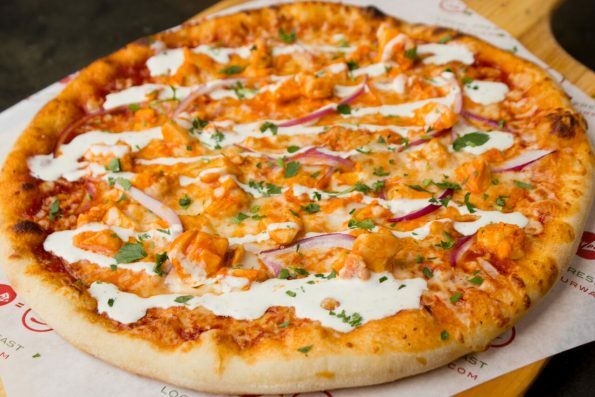 Located off the Santan 202 and Gilbert Road – northeast corner of the Crossroads Towne Center, My Pie Gilbert is the third Arizona installment of the local fine-casual pizza franchise, offering authentic New York flavor. A grand opening event is planned for Saturday, December 3, 2016 from 11 a.m. – close. Customers that attends will enjoy free garlic knots, live entertainment, kid’s activities and amazing giveaways throughout the day. I’m thrilled to open our third Arizona installment of My Pie. This has truly been a labor of love and an amazing dream realized for myself and my team. We have our sights set on continuing to grow this awesome concept through a love for our customers, friends and community. Our goal is to become your neighborhood pizzeria at each of our locations. It all starts with giving back and we can’t wait to develop strong relationships in the east valley,” said Ryan Mitchell, vice president of operations, My Pie.